What is the best employee monitoring software? The best employee monitoring software is Tanda. It goes beyond employee surveillance but also covers related areas to help you consolidate relevant processes. It automates new-hire onboarding, attendance tracking and streamlines payroll processing. Other key features include a time clock, mobile apps and leave-shift management. Employee monitoring is not a new trend in the business industry; the approach to monitoring employees, however, has changed over the years. With technological innovation coming to replace the traditional and literal keeping-an-eye methodology, catching up with the times and knowing what is best for your business is necessary if you want to maximize your employees’ productivity. In this article, we will give you our list of 20 best employee monitoring software for 2019 based on feature set, usability and overall intuitiveness, among others. Because we know that business organizations and individual users have different needs and requirements, we made it sure to include the important aspects of each employee monitoring software and how they can work to your advantage. It is easy to say that distracted employees (Udemy In Depth: 2018 Workplace Distraction Report) are among the biggest reasons why employee monitoring has been implemented. While this is not completely false, it is not the whole truth either. Monitoring employees to the point of keeping them under the microscope and tracking every activity they engage in inside the workplace is also an employer’s way of protecting his/her assets. A Forbes article (“The New World of Monitoring”) identify two types of employees that business owners keep an eye on—the “time thieves” or employees who use work hours for leisure, and the “data thieves” or employees who illegally access critical information that can compromise the entire business organization. While the latter is a far more serious violation with serious consequences, both are bad for the business, thus, more and more business owners resort to the use of monitoring software over the years. The market for employee monitoring technology is thriving with a vast option of software that fulfills a wide range of functions from attendance tracking, payroll integration, to detecting potential fraudulent activities by monitoring key logs. 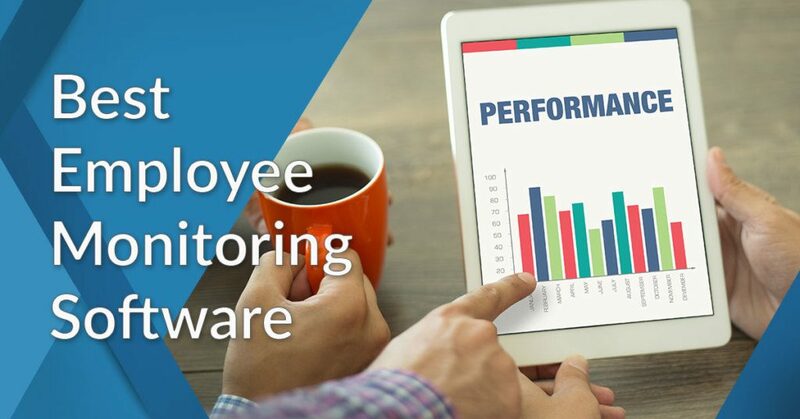 Different businesses have different requirements and with an incredible number of monitoring software currently being offered as “the best,” in this article, we narrow them down to the 20 best employee monitoring software for 2019. Tanda is a workforce application designed to automate administrative tasks in order to help your HR staff focus on other critical concerns of the organization. This application enables self-onboarding of new hires, which eliminates the painstaking task of gathering and recording new employees’ information. Tanda also automatically manages and creates rosters based on customer demand, staff availability, and budget constraints in minutes using customizable templates. You can also publish the roster for your employees to know their schedule. Attendance tracking and leave management with Tanda are also fully automated. Tanda’s time clock app uses photo verification and unique passcode for each employee for better accuracy of timesheet records. Wage calculation is automated and equipped with an award interpretation engine that monitors and adjusts base rates, allowances, and higher duty rates. The tool automatically syncs with your payroll system. Tanda provides payroll flexibility as it integrates with more than 50 payroll systems, such as MYOB, Aurion, Redcat, ADP, Square, Elmo, Xero, Quickbooks, Google, Kounta, etc. And with a quote-based pricing system, Tanda allows you to choose the features and add-ons you need based on the size of your business. An appealing test drive of all software features is available to you when you sign up for a Tanda free trial here. Kickidler is designed to help monitor your employees’ productivity by gaining complete visibility of their desktop activities. You can also give department heads, supervisors, and/or team leads remote access to their own staff and teams to make sure that their team members are not only focused on accomplishing their tasks but are also not engaging in activities that can compromise the company’s security. With Kickidler’s live monitoring feature, you will have access to your employees’ computer, see what they are doing, as well as record what is on their computer screen on video as it happens. Kickidler also uses a keylogger to record everything your employee types on their computer. You can also set up violation triggers by creating a filtered list of programs, files, websites, etc. they are not allowed to access and use inside the workplace. Kickidler’s violations monitoring is updated every minute and you can review the history of violations an employee has committed as well as a how much time has been spent on each violation. This application also provides records of your employees’ hourly productivity from the moment they logged in, which gives you an insight into the time they are most productive, who are more focused on getting their tasks done, and who are the employees prone to idle time. With this information, you can identify which employee needs motivation, which deserves a reward, and what strategies and plans you have to keep your employees on top of their performance. Kickidler’s price starts at $9.99/month and varies depending on the number of licenses you would like to purchase as well as the duration of usage. You can also try all its premium features at no cost when you sign up for a Kickidler free trial here. This employee management software allows business owners, HR staff, and managers keep track of employees within the workplace as well as those who are in the field and remote offices. This is also useful to freelancers and other remote-based professionals, especially those who work on flexible hours as they no longer have to manually record and submit work time reports. Developed by NCH Software, FlexiServer covers automation of attendance tracking, vacation and sick leave management, as well as computer usage monitoring for quality control and security or legal compliance. It also allows you to monitor your employees’ desktop activities to optimize productivity and ensure that your staff are not using or accessing forbidden programs, files, and websites. Unlike other activity monitoring applications, FlexiServer allows employees to work in private mode whenever necessary. While entering private mode disables live monitoring, the history of activities will still be recorded and generated for reference. Aside from employee monitoring, FlexiServer enables you to use reports for job costing as well as link attendance and work hours records to your payroll software. Available on web-based and on-premise platform compatible with Windows, Linux, and Mac OS, FlexiServer pricing starts at $27.66 monthly. In an array of project management applications for software developers, Pivotal Tracker claims to have its unique way of accomplishing projects—with stories. As intricate as it may sound, this application’s story-based tracker provides a straightforward visual guide for the team members to follow the project’s progress, know their specific tasks and the time allotted for each, know which tasks to prioritize, and communicate, share files, and collaborate the rest of the team. As the project progresses and the story moves down the workflow, the tracker automatically adjusts to the pace of the team as well as changes timeline and course based on circumstances, which means your team remains efficient, productive, and on top of the project even when something unexpected happens. A monitoring application that encourages practical agile software development process as well as generates charts and reports analytics, Pivotal Tracker integrates with leading applications, such as GitHub, Jira, Zendesk, Zapier, Slack, and more. Pricing is based on the number of collaborators within a team, the number of projects, and storage capacity. Pivotal Tracker is completely free for public projects, academics, nonprofits, as well as for teams of up to 3 members with a maximum of 2 private projects and 2GB of storage. For the paid version, price starts at $12.50 per month. This time management application focuses on monitoring individual or group activity and provides a record of an individual or a team’s productivity, down to how much time is spent on a specific task, application, website, etc. With an aim to optimize productivity by keeping an individual or team focused on accomplishing tasks at hand, RescueTime is equipped with tools that block “distractions” or websites irrelevant to your tasks, so you and your team can do more meaningful work. Set popup notifications to remind everyone on your team of their priorities and redirect their focus back to the tasks at hand, especially when the time spent on a specific application or website is longer than necessary. You can also get a detailed view of your team’s daily activity, as well as receive weekly reports, so you can monitor your team’s productivity and identify areas where improvement is needed. RescueTime integrates with known applications including Zapier, Google Calendar, Evernote, If This Then That (IFTTT), Facebook, Twitter, Slack, Foursquare, Git and GitHub, Gyroscope, Zenobase, and Exist.io. For organizations and premium plan for individual use, price starts at $9 per month with a 30-day and 14-day free trial respectively. RescueTime Lite, however, is free for individual use. This employee monitoring application also accommodates features like scheduling, payroll, and invoicing, so you can manage both your employees’ productivity and payment all in one place. Hubstaff targets businesses with employees who work on the field and other remote locations. Using this application, employers can easily view their employees’ location and computer activities and how much time they spend on applications even when you are on your mobile device and go offline. With both employer and employees using Hubstaff’s time tracking feature, work hours are recorded accurately and automatically exported to integrated payroll applications. Payments are sent to employees on time. Hubstaff integrates with Salesforce and Humanity, as well as with Zendesk and Freshdesk. Other integrations include project management applications, such as Asana, activeCollab, Basecamp Classic, Basecamp 2 and 3, GitHub, GitLab, Jira, Zoho Projects, and more. RescueTime is also integrated with payments, accounting, and invoicing software including FreshBooks, Bitwage, Payoneer, QuickBooks for Windows and QuickBooks Online, and TransferWise. Hubstaff is free for a single user who only requires access to time tracking, tracking activity levels based on mouse and keyboard usage, and limited screenshots. Basic Plan starts at $5 per month based on the number of users. Time Doctor is a monitoring software that offers precise and detailed tracking of your employees’ working hours. It establishes a more transparent relationship with your clients by giving them access to screenshots and reports of tasks related to their projects. You can get a detailed view of your employees productive and less productive hours using Time Doctor’s time tracking and activity monitoring features. These tools allow you to see not only what websites or applications your employees are using, but also if they are using chat applications and with whom they are having conversations with. You can also set notifications to remind your employees of the task they are working on if they happen to spend a significant amount of time on websites or applications irrelevant to their tasks. Screenshots of your employees’ are taken automatically on set intervals and only when your employees are working. With Time Doctor, you can be more transparent with your clients by giving them access to task reports; you can set up your clients’ login access at no extra cost. These data can be useful when providing clients with specific proofs of the time spent by your employees working on a project. Time Doctor also has an optional feature for a payroll system with a customizable work-time period and currency. Furthermore, Time Doctor integrates with leading applications, such as Asana, Trello, Slack, GitHub, Jira, Podio, Salesforce, Payroll Here, Redmine, Freshdesk, Basecamp, Quickbooks, Teamwork, Google Apps, and more. Price starts at $9.99 per month for each user with a 14-day free trial. Active Collab is both a project management and collaboration tool that places all your work in a single workspace. With a centralized data storage and communication channel for the entire team to brainstorm, discuss, get updates, and share files and other documents in, keeping everyone on the same page and keeping tabs of everyone’s activities are made easier. You can get accurate time estimates by measuring how much time is spent on each task by your team, and use this time-tracking feature to identify which teammates need help in improving their productivity. You can also set hourly rates for each task and/or projects and use the tracked time records on billing reports to clients, as well as allow clients access to these reports. For a starting price of $7 a month, you can use Active Collab on an unlimited number of projects, create unlimited tasks, save unlimited time records. This plan also allows you access to its client management feature, budget vs. cost tracking, advanced reports, and email integration. Aside from email, Active Collab integrates with other applications like Slack, Quickbooks, PayPal, Braintree, Stripe, Authorize.Net, iCalendar, Apple Calendar, Google Calendar, Microsoft Outlook, and Testlodge. A monitoring software that provides employee behavior analytics, ActivTrak operates in stealth mode depending on the configurations you set before deploying it in your employees’ computers. With your employees clueless that they are being monitored, you will get a more accurate picture of how they spend their working hours. Aside from monitoring, ActivTrack is also equipped with tools that let you enforce compliance to company rules and regulations. Triggers can be set to automatically block access to forbidden websites, files, and applications so your employees can focus on their tasks without these distractions. You also protect your company’s system from malicious threats. You can launch ActivTrak on the web or in your Windows, Linux, and Mac OS computer. The software has a mobile application compatible with both Android and iOS devices. ActivTrak is also integrated with Slack, Basecamp, Github, Tableau, Quickbooks, Zapier, Jira, and more via Webhooks or Raw SQL Data. You can get ActivTrak for free but if you would like to request pricing for custom plans, you need to contact the vendor. Aside from monitoring employees, this tracking application also ensures that all projects are progressing down the right track and do not go over the set budget in real time. You are also assured that the employees are not working the entire time and also take necessary breaks. DeskTime has tracking capabilities that allow companies to optimize productivity by monitoring desktop activities and allowing their employees timed breaks by activating the built-in Pomodoro timer. This application also ensures that there will be no shortage of manpower with the help of DeskTime Leave Calendar. This calendar is viewable to everyone so both managers and their staff can coordinate time-offs to make sure that there are enough employees to get the tasks done and finish the project on time. Communicating with your team is also made easier using the contact information saved on the employee’s DeskTime profile. With DeskTime’s billing feature, you can set your team’s hourly rates and automatically determine how much a project will cost and how much you have to charge your clients with. Third-party integration is also not an issue with applications like Asana, Zapier, Basecamp, Google Calendar, and more. DeskTime is completely free if you would like to use the Lite version. DeskTime Pro, on the other hand, starts at $7 a month for one user. Screenshot Monitor is a user-friendly tracking application that employers and managers can access from a web-based platform. The employees, however, are required to install the application using the invitation sent to them. This application gives business owners and managers round-the-clock monitoring of the employees’ computer activity from the moment the computer is turned on until the moment when there is no longer any activity detected. Throughout the monitoring process, random screenshots will be taken and uploaded to the cloud storage where employers and managers can access them by logging in on Screenshot Monitor’s website. Reports related to employees’ productivity, time spent on projects, etc. can also be generated, customized, and exported to Microsoft Excel—these same reports can also be used in billing the clients. Screenshot Monitor has its own API web services that can be used to integrate this application with existing project management, accounting, payroll, and other systems. You can also get this application for free but with limited access to its features; paid version starts at $6.99 per month. This monitoring application not only focuses on tracking employees’ computer activity to optimize productivity, but it also eliminates malicious threats to the company’s security. Teramind is a flexible application with features that business owners and managers can configure according to their company’s needs and requirements. With the live streaming and history playback features, business owners and managers can check on employees’ computer activity in real time or at the end of the day. It helps you to see when they are most productive, when they are idle, and which task, applications and websites they spend their time on. You can also utilize Teramind fully by integrating it with other applications, such as JIRA, Redmine, Splunk, Radar, McAffe, LogRythm, and NetIQ. Teramind can be accessed through its website or launched using its self-hosted version. Price starts at $150 per month for cloud access and $750 monthly for self-hosted users. You can identify your employees’ billable hours down to the minutes, your company’s expenses per account and/or project, the cost you have to charge your clients with, and the income you will get from each project with TMetric Time Tracker. This software is designed for comprehensive monitoring of employees’ productivity to make sure that they are being paid accurately. This feature is also useful to freelancers who would want to have access to a detailed report of their billable rates, as well as identify areas where their productivity needs further improvement. TMetric Time Tracker’s project monitoring feature also helps calculate and set a specific budget and keep tabs on how the budget is being spent as the project progresses. Using real-time monitoring and generating relevant reports, you avoid going over the budget. This software integrates with a wide range of applications and business systems including Asana, Asembla, Axosoft, Basecamp, BitBucket, Bitrix 24, Bugzilla, Doit.im, Freshdesk, GitHub, GitLab, Google applications, and more. TMetric Time Tracker has a free version limited to 5 users. If you would like access to its more advanced features, pricing starts at $6 per month depending on the size of the team and features included. This application tracks your employees’ whereabouts and also simplifies logging and out, timekeeping, and gives you real-time updates that you can view on your mobile device, computer, and even on television to see who among your employees are in and out of the workplace. With Simple In/Out installed in your employees’ mobile devices, they will be automatically logged into the system once they enter the geofence set for their workplace. Their status will also change whenever they step out of the geofence and whenever they enter the workspace. Your employees’ status will also be updated in real time, displayed in the In/Out Board interface. You can also install the application on your smart television, so you can view your company’s In/Out board on a larger screen. Aside from in-app access, you can share the board view through public links. Simple In/Out also has customizable status and notification settings; you can choose to get notified every time someone updates his/her status, or you can allow your employees to schedule status updates. This application also generates timeline reports of each employee, which help in payroll management as well as in keeping accurate records of the hours employees rendered at work. Simple In/Out also seamlessly integrates with other software solutions and the company’s own management system via API and WebHooks. This application is available through subscription plans and the price starts at $9.99 a month for businesses and teams with up to 10 users. Berqun is a time management software solution that monitors employee activity and provides detailed daily, weekly, and monthly report of each employees’ metrics with productivity and efficiency performance already analyzed and scored. This software solution does the monitoring of employees desktop activity in transparent or stealth mode. You can also customize various settings including view access, productivity scores, and more. Berqun integrates seamlessly with Slack and Windows but you can also customize your integration using add-ons available for the cloud version. You can launch Berqun by logging in on its website or by launching the program installed in your computer. For cloud access, pricing starts at $3 a month per employee. For the self-hosted version, you may send a request using the contact information on the website. This cloud-hosted Human Resource Management System (HRMS) simplifies attendance and location tracking of employees which help business owners and managers monitor employee availability, productivity, and attendance trends. It lets you track your employees’ attendance accurately and easily by connecting AquaTeams app to your company’s biometric devices, office WiFi, beacons, and by setting up a geofence for the workplace. By using this application, you will also receive real-time notifications for important updates, such as who are the employees coming in late, who are working overtime, who will be on leave the next day, who should be on shift, and more. If you have employees on fieldwork, you will have access to their live location, location logs, the distance they have traveled, and where they have checked in and checked out. For tracking employees outside the workplace, you can also set the application to notify you if an employee has been spending a longer amount of time in a specific area. AquaTeams also keeps precise records of employees’ performance that can be reviewed on a monthly basis to analyze trends in attendance and efficiency. These records help reduce attrition as attendance pattern can help identify at-risk employees and help them get back on the right track. If you are already using Active Directory and Orange HR for payroll, AquaTeams integrate with these systems. AquaTeams has several subscription plans starting at ₹60 per employee/month. CleverControl is an employee monitoring application that not only keeps track of desktop activity but also its interactions with other devices including external storage devices, printers, etc.. The software also helps track anyone responsible of illegally sharing and leaking of information from within the company. By using CleverControl, business organizations will have access to a detailed history of actions executed in their employees’ computers such as Internet searches, social networking, chat sessions, file sharing, and more. With this kind of access, business owners and managers will have more control over identifying and eliminating distractions that hinder employees’ productivity and efficiency. CleverControl also helps identify and prevent threats that can harm the company. And circumstances when illegal activities such as identity theft and information leak are committed, CleverControl helps by performing an audit trail that can lead back to the person responsible for the unauthorized access. CleverControl is compatible with Windows and Mac OS and available for purchase at a starting price of $8.88 per month for every computer. This employee monitoring software is used primarily for tracking computer activity to optimize internal information security, investigate threats, and boost employee productivity. Veriato 360 is helpful to business owners and managers who require full access to the computer activity of employees. The software helps them manage how and when data should be collected. With this software solution, computers that use the company’s IT resources can be monitored via trigger screenshots and video screen capture based on your settings. Access to the computers of employees who handle sensitive information can also be configured differently to make sure that no breach will be committed and threats will be handled with urgency. Veriato 360 comes with open APIs that allow access to raw recorded data; and if you are using Splunk and ArcSight, these applications also integrate seamlessly with Veriato 360. Information about this application’s pricing and subscription plans are only available upon request. BrowserReporter monitors your employees’ Internet activity and bandwidth usage and gives managers remote access to capture employees’ computer activity even when the former is not in the office. This monitoring software is equipped with the necessary features and functions that identify employees who spend too much time on websites and applications irrelevant to their tasks beyond their allowed time to do so. BrowserReporter’s Bandwidth Monitor easily detects computers with high bandwidth usage, which can cause network congestion and affect operations. With its Remote Screen Capture feature, managers can easily view their staff’s online activities and see if they are being productive while the managers are away. Screenshots of employees’ monitors can also be automated and reviewed later. BrowserReporter is available for one-time purchase at a starting price of $199, which includes 5 licenses and covers 5 computers. This activity monitoring software is used primarily in protecting sensitive information, networks, and assets by evaluating and regulating access to these critical data. Ekran System provides an organization with a centralized platform where complete control over information access can be executed by monitoring and managing user activities. With this software solution, individuals who have access to the system can have a detailed view of the activities of employees and even subcontractors, the specific device they are using within the company’s IT infrastructure, and the information being accessed using that device. If there is a potential threat, Ekran System is capable of detecting it immediately and addressing it before it gets worse. The system also automatically records user sessions in video format; these video captures are indexed in metadata and can be retrieved later on if necessary for an incident investigation. This software solution supports a wide range of operating systems, such as Windows, Mac OS, Linux, UNIX, X Window System, Citrix, and VM Ware. Ekran System also integrates with ArcSight, Splunk, IBM qRadar, SysAid, and Service Now. Ekran System online and on-premise versions are available for free trial by request. This concludes our list of 20 best employee monitoring software for 2019. With all the features, functions, pricing, and integrations listed, we hope you can find the software solution that meets your organization’s needs. If you are looking for a bigger system to manage employees, we recommend that you check our list of 20 best HR software for 2019.